Have you ordered your gorilla case®? 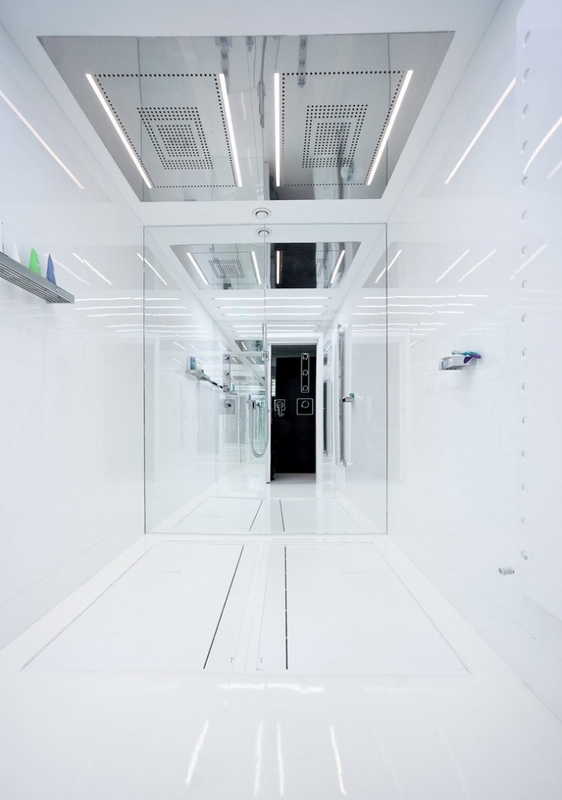 Romanian architectural office AA Studio united two mirroring apartments in Bucharest the capital city, industrial and financial centre of Romania, to create a living space of 400 square meters. 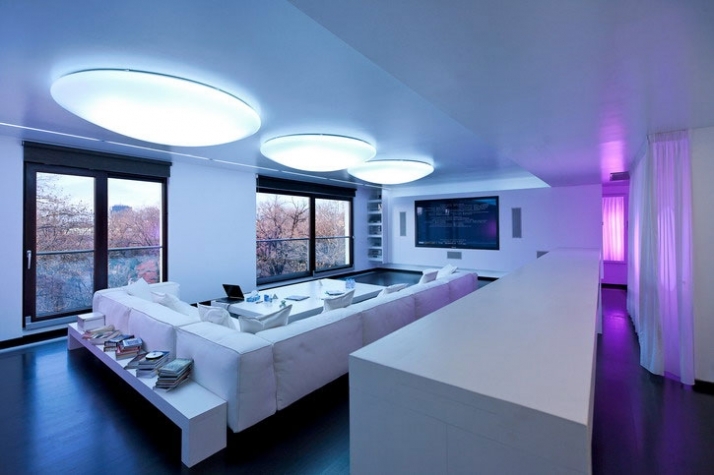 The transformation of the apartments into one single space led to spectacular results; it created a situation which exists through and from light. AA Studio strongly believes and we could only agree with them, that interior design is more than just choosing products from more or less luxurious catalogs. It is a process of selecting appealing objects and integrating them in a harmonious way with the surrounding environment. The designers and the client have to think outside the lines in terms of defining the entire space which will result in a space that will satisfy the client’s needs and requests but also reflect the creativity and the talent of the architect. It may look simple, but most of the projects usually don’t manage to exceed the first step. On the other hand there are architects and designers out there who really understand their role in this expertise and take full responsibility. The contemporary design of the apartment has a strong scenographic appeal, as if the area was meant to be a stage set that would be constructed, updated, transformed and filled. The precise requirements of the needs of the client, as well as the good communication of the client and the architects assisted AA studio in completing the entire project in less than a year. The clients request for a spacious apartment (this was easy due to the 400m2 surface area), which is well lit, simple and comfortable was approachable by the design team in an unusual scale. They started by distributing the spaces according to their functionality; one apartment holds the day activities while the other holds the night spaces, while both are connected by the gym. 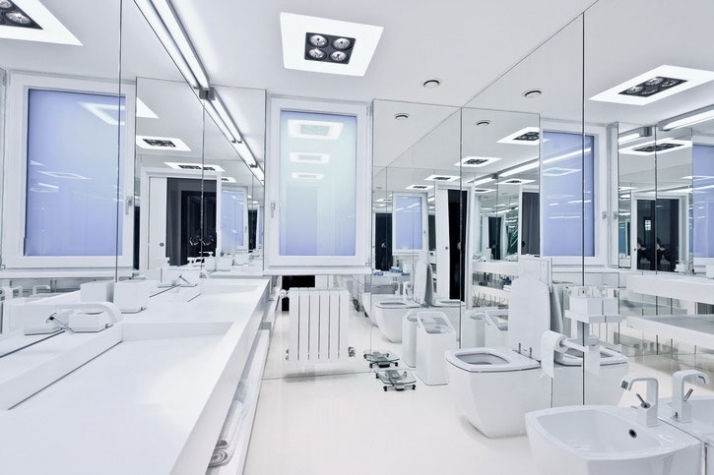 The spaces which occur from this distribution are a master bedroom, a dressing room, bathroom, shower bath, and secondary bathroom, living room, dinning room, kitchen, two guest bathrooms, and a guest bedroom. The architects took advantage of the park which is outside the apartment and they integrated this dynamic feature to the interior without any visual fragments. 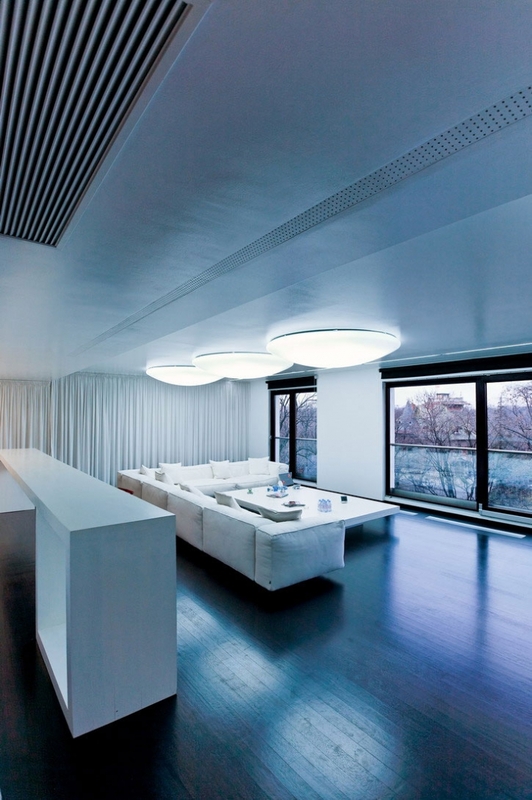 The apartment has unobstructed view to the exterior park through the many windows which were installed; however, it can seclude itself from the exterior by enjoying the various lighting systems which create a special atmosphere. The spaces bond by the unique furniture design and the ever-changing lighting. 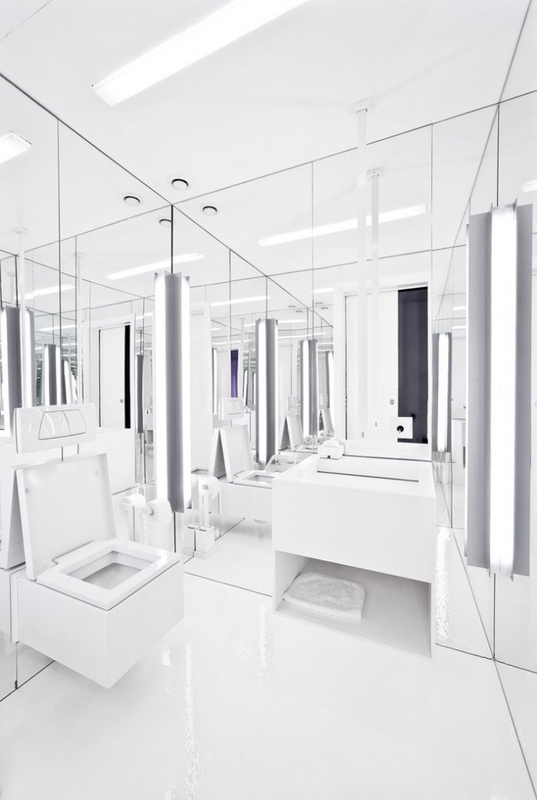 The white interior acts as the canvas for the design. The large white spaces allow for a “rescale” which results to custom hand crafted furniture which is designed by the architects. The furniture pieces are contemporary; simple yet with firm lines, right angled, elegant and their interaction with the space makes them whimsically stylish. However, the most stunning piece of furniture seems to be the bed, which is literally floating! 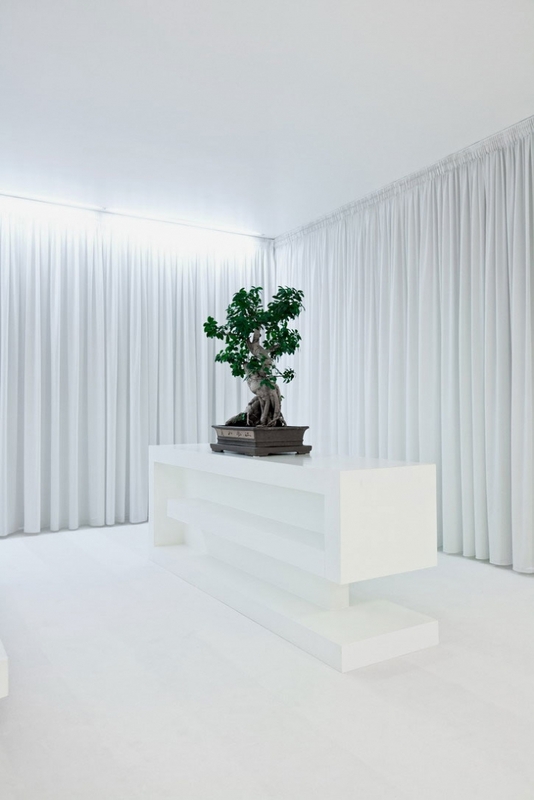 The floating white slab, with the purple linen spots out in the all white bedroom interior with the plasma TV and the bonsai! 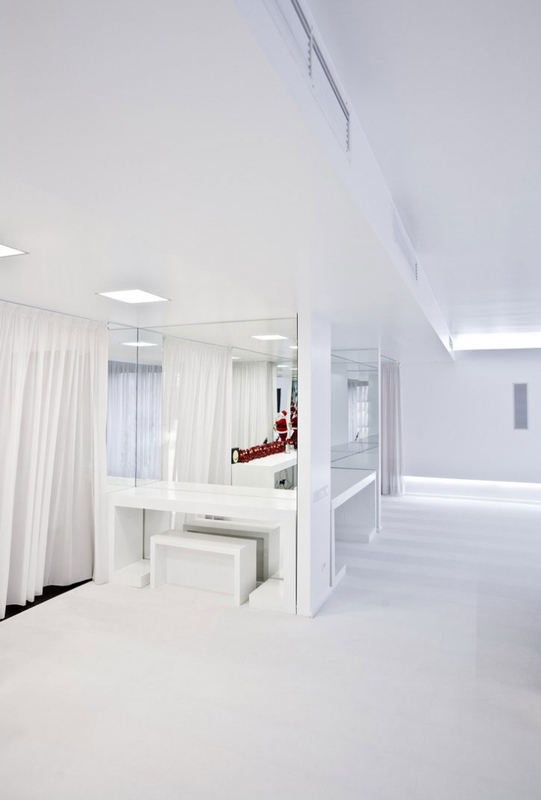 The master bathroom offers an impressive spectacle of textures, lighting and mirrors, being one of the climaxes of the apartment. While the designers placed themselves in the role of the scenographer they took into close consideration the lighting transformation and how it re-composes the white space which acts like the canvas. On one hand, we have the natural lighting which comes directly into the apartment or filtered by curtains and draperies, which have scenographic roles. 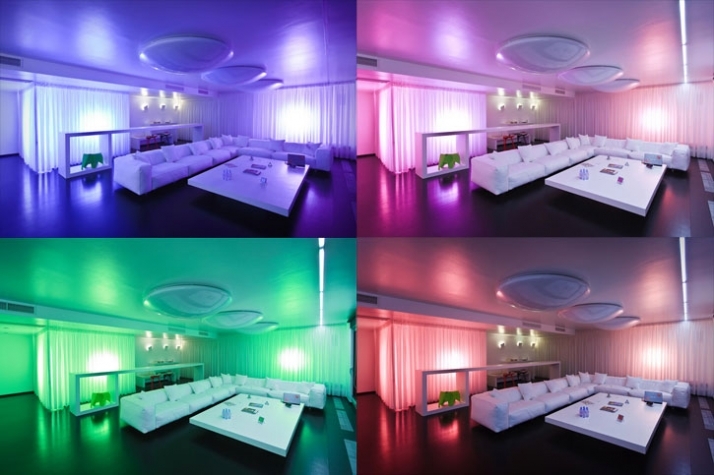 While on the other hand there is a lot of artificial lighting systems which dramatically play with the colors, the shadows and the different shades of colors. 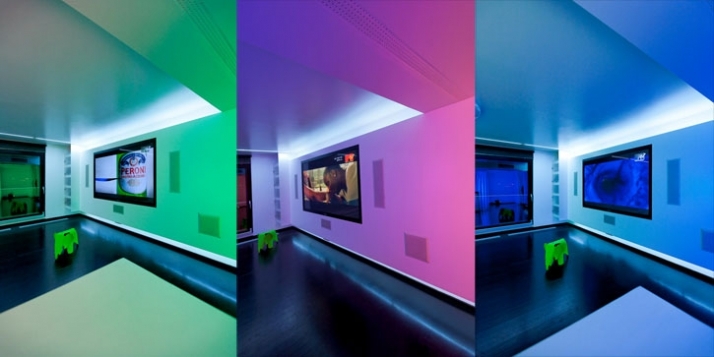 RGB lighting was installed due to the owners request for ever-changing lighting colors and moods projected to the inhabitants. 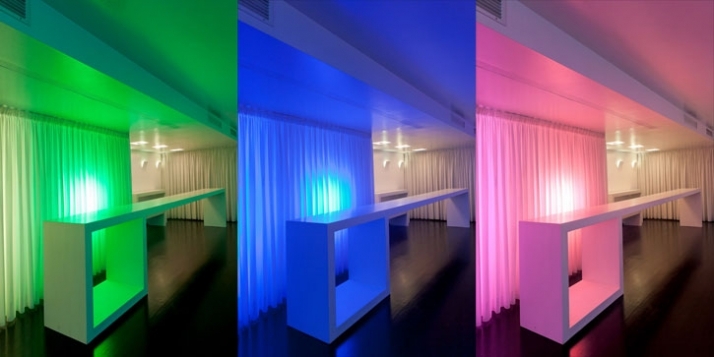 The RGB lighting assists in how the space is continuously re-invented and re-defined. 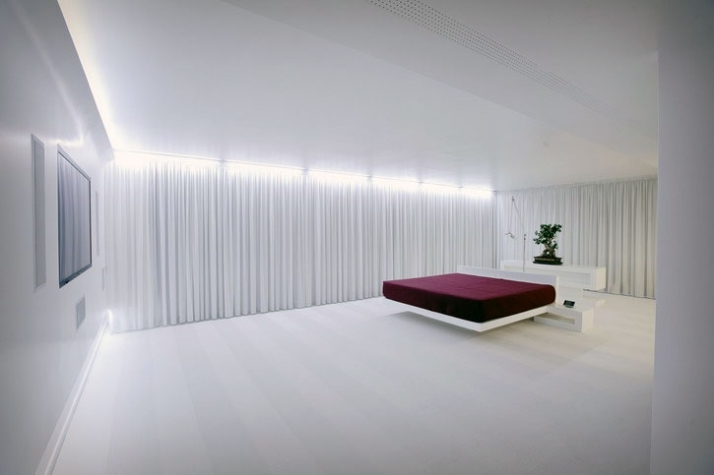 To achieve this, the architects combined the white surfaces and the curtains that define the spaces, while the lighting made the space very versatile. AA Studio really did take the design of this renovated interior much further than the first base. Some may like it, others may love it, and others may not find themselves living in such a house! Despite any personal taste, no one can state that this house was not well thought of according to the owners’ requests and needs. No one can claim that creativity and innovation weren’t abundant, we like seeing unique designs, wish we could see more…couldn’t agree more with AA Studio when they claim that design isn’t about opening a catalog whether its one with luxurious items or not!